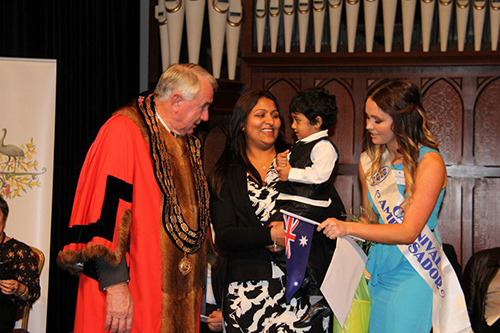 RN Teena Thomas is now an Australian Citizen! Born in Ernaluman, Kerala India and now living in Toowoomba in southern Queensland, Teena has achieved great career success since moving to Australia with Nursing Careers Australia in February 2008. In addition to working in aged care, the talented RN also works in one of the state’s busiest hospitals. “There is so much job satisfaction and opportunities to study and develop your career, something that is not possible but in my home country,” Teena said. The next big goal for Teena and Sam is buying a home. “This is something we are really excited about,” she said. Follow more success stories of overseas nurses living and working in Australia with Nursing Careers Australia here.